With a population of approximately 106,000, Darlington is a market town in the northeast of England’s County Durham. Lying close to the River Tees on the banks of one of its tributaries, the River Skerne, there is a good range of affordable housing in Darlington. At My Home Move Conveyancing we continue to develop our knowledge of the local property market, enabling us to bring our clients in Darlington a specialist, fixed fee conveyancing service. If you are considering buying or selling property in Darlington, you must instruct a lawyer to complete the legal work on your behalf. 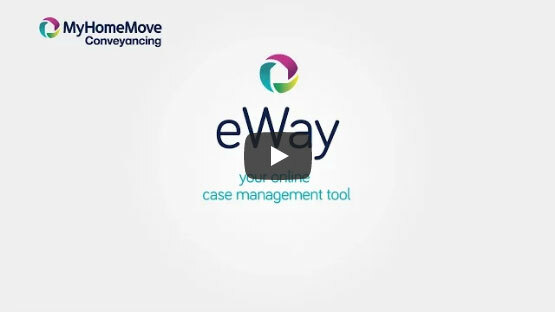 My Home Move Conveyancing offer award winning customer service, intimate knowledge of the local market and innovative use of technology. Our conveyancing service is fixed fee, so you’re aware of how much you’ll be paying from the beginning, with no extra charges or hidden fees to worry about with us working as your Darlington conveyancers. If you don’t end up moving for whatever reason, you will not pay us anything. You will be assigned a dedicated conveyancer who will oversee everything for you, looking after all aspects of your case from start to finish and providing regular updates on the progress. We provide our conveyancing services in Darlington to homebuyers across the local area, in neighbourhoods such as Cockerton and Mowden and spots close to South Park. The average house price in Darlington is £98,441, while the overall average sale price during the past 12 months was significantly higher than this at £144,071. Semi-detached properties were involved in the most sales, going for an average of £136,109, while terraces also sold well and averaged at £100,587. Detached properties went for £250,904, and flats for £97,678. Darlington’s heritage is synonymous with the birth of the railways, while the town went on to become a major centre for railway manufacturing. There is plenty of well-priced property in the area that ranges from new builds to period homes and Victorian terraces, while Darlington is surrounded by swathes of lovely countryside; the Durham Dales, North York Moors and Yorkshire Dales are all located in the near vicinity. Transport links are strong thanks to the presence of the A1(M) that passes to the west of Darlington and links the town to the national motorway network. The town’s rail station lies on the East Coast Main Line and is an important interchange stop that offers regular services to cities such as London, Leeds, Manchester and Newcastle. Direct services to the capital take two hours 45 minutes, while it’s around half an hour to Newcastle city centre and just over double this to its airport. There are some excellent schools in the area that will please families with children; primary options include Staindrop CofE, High Coniscliffe CofE and Harrowgate Hill Primary on Thompson Street West. Hurworth School, Longfield School and Hummersknott Academy on Edinburgh Drive are among the choices at secondary level. Darlington College offers further education facilities, while Teeside University has a higher education campus in Darlington. All properties in Darlington will fall within one of the following council tax bands.